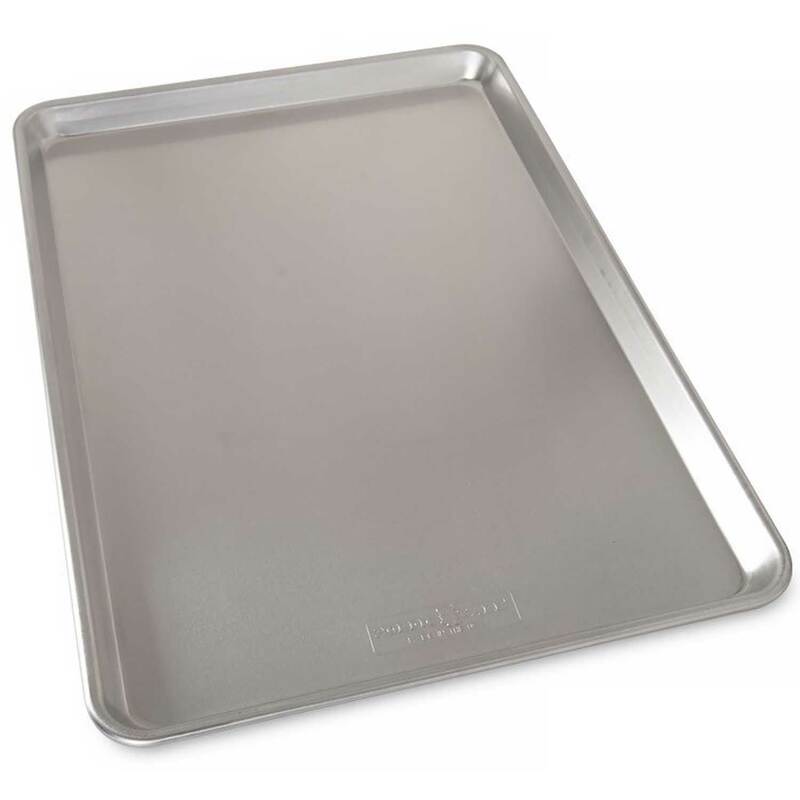 Brand: Nordicware NW-44600 Units: 1 Dimensions: 15" wide x 21" long x 1" deep Make mega batches of cookies and bars with this extra large sheet pan. Fits all standard size ovens. 35 percent larger surface than the half sheet! Our commercial-duty Naturals Bakeware is made of even-heating rust-proof aluminum and features a galvanized steel reinforcement around the rims for added strength. Bakers agree that aluminum bakes best. Limited Lifetime Warranty. Make mega batches of cookies and bars with this extra large sheet pan. Fits all standard size ovens. 35 percent larger surface than the half sheet! Our commercial-duty Naturals Bakeware is made of even-heating rust-proof aluminum and features a galvanized steel reinforcement around the rims for added strength. Bakers agree that aluminum bakes best. Limited Lifetime Warranty.